The International Bear Center would increase the space available for bears, the number of bears that could be housed, and the amount of research that could be conducted. 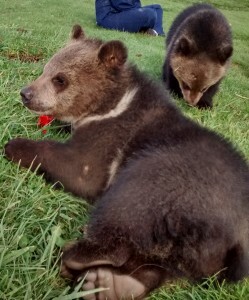 The International Bear Center would continue to house bears that need to be removed from the wild due to human conflicts, but would also serve local and regional resource agencies by providing a temporary home for injured, orphaned, or sick bears. The International Bear Center at WSU will be the premier global center for promoting the understanding of bear biology and ecology. We will achieve this mission through world-class education, knowledge creation and dissemination, and partnerships. The Bear Center will dramatically expand our knowledge of bears and explore all opportunities to apply that knowledge to: 1) the conservation and management of both captive and wild bears and the ecosystems where they live; and 2) the betterment of mankind, through increased recognition and appreciation for the role that bears play in natural ecosystems and the potential advancement of human health. These goals depend upon understanding how bears have adapted and evolved in a changing world. The rich history of the existing bear program at WSU and its demonstrated scientific rigor and success over the past 28 years provide a solid foundation of support for the broader vision of an International Bear Center. Future growth will leverage this history of accomplishment to enhance the core principles and research emphases of the current program. An unprecedented opportunity exists to collaborate with federal agencies, industry- and natural resource-based entities, and the general public to create an International Bear Center that will provide extraordinary advances in science, human health, education, and outreach. 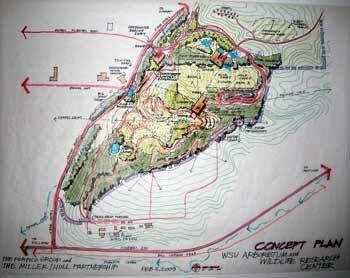 The new facility would initially house both grizzly bears and polar bears. Polar bears are currently threatened by loss of their sea ice habitat and the resulting decline of access to their primary foods due to climate change. Changing climatic conditions around the world will create challenges for the survival of all bears as some areas dry out, others become wetter, and warmer temperatures alter annual cycles of habitat and prey. 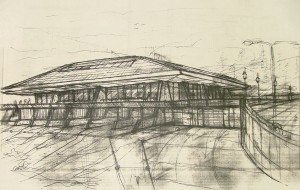 The International Bear Center will be uniquely positioned to develop scientific knowledge for management agencies to use in addressing those challenges. 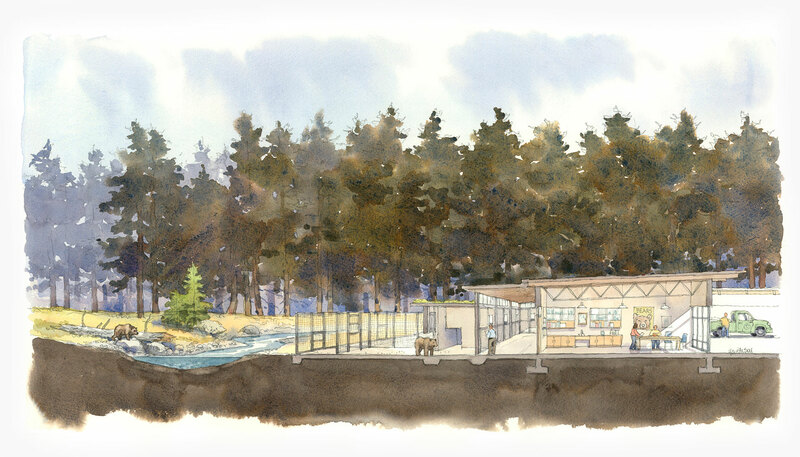 The International Bear Center will be the premier facility in the world to answer important questions about how bears can adapt to a changing climate and, thus, will play a primary role in bear conservation through high-quality scientific research on bear physiology and ecology. Polar bears and grizzly bears offer unique evolutionary strategies for solving the complexities of living in harsh, highly seasonal environments. Hibernation is a series of physiological adaptations that give bears the ability to survive long periods of fasting. The sum of these adaptations in bears has resulted in a radical departure from the normal physiological balance seen in most mammals. Their unique physiology provides a remarkable discovery potential for development of treatments for diverse human ailments, including morbid obesity, diabetes, and kidney and heart disease. Throughout their evolutionary history, bears have naturally solved some of humanity’s most pressing health problems. The International Bear Center can be a portal to unlocking physiological secrets that can be applied to human health while simultaneously helping managers better understand how to help bears survive in the wild. 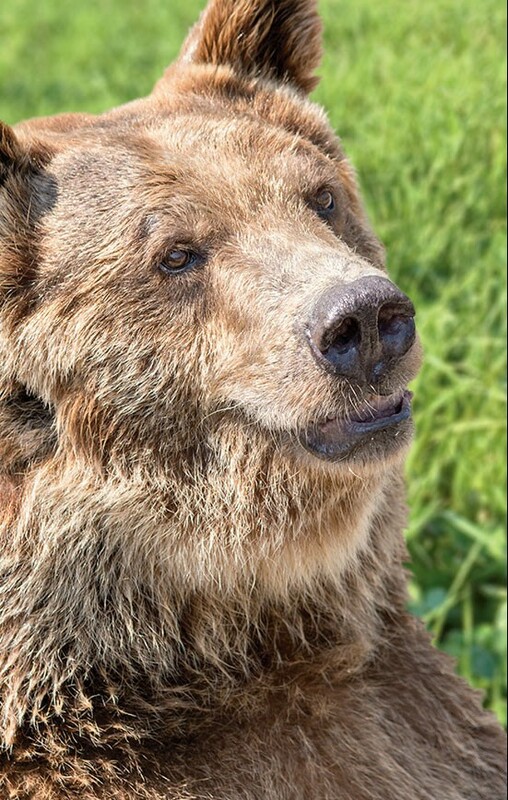 The International Bear Center will provide exciting educational opportunities for a range of audiences, including undergraduate and graduate students, veterinary students, professional biologists, and the general public. This can involve on-site learning opportunities as well as extensive web-based and other outreach programs. What are the physiological limits to fasting? What is the metabolic capability for diet change? What is the extent of nutritional flexibility that may sustain a population? What are the controls and limits to reproduction? What are healthy biochemical and activity patterns? Can polar bears successfully compete with grizzly bears? What are the physiological limits of regional diet change? Can hair analysis be expanded for enhanced dietary and reproductive analysis? How are grizzly bears affected by competition with black bears? What are the genetic characteristics of isolated populations? What biomarkers can be used to quantify health? What are the limits of obesity and insulin resistance? How are kidneys shut down for months? How do bears preserve muscle strength during hibernation? How do bears maintain bone density? How does the heart adapt to extremely low heart rates? What prevents abnormal blood clotting? What are the needs of future wildlife professionals? How may veterinarians be equipped with expertise in wildlife health? What are the best practices for educating communities on bears and bear needs? What are the best methods to raise awareness of animal and human health links? What is the best collaborative structure with all partners?